BHARATI SETHI: "PHOTOVOICE – DO YOU SEE WHAT I SEE?" Bharati Sethi is currently a PhD candidate at Wilfrid Laurier University, Faculty of Social Work. She is specializing in Community, Planning, Policy and Organization. Her research has earned her several prestigious awards including the Ontario Women's Health Scholarship (PhD: 2012 and 2013), Tutor-Primary Health Care Fellowship (PhD), the Vanier Canada Graduate Scholarship (PhD), the Inaugural Hilary M. Weston Scholarship (MSW) and the Social Sciences Humanities and Research Scholarship (MSW). Bharati's master's thesis earned her a gold medal and Governor General Award Nomination. 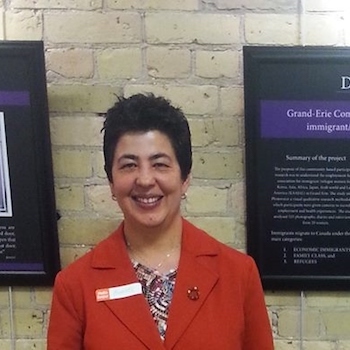 In 2013, her community advocacy efforts and research earned her the 'Citizens Award' by the Member of Provincial Parliament and in 2012 she was nominated as one of the top 25 immigrants to Canada. Visit Bharati's website at photovoice.org.